It’s a Zombie Apocalypse in Lehi!! Everyone loves visiting haunted houses this time of year, and Robert Scott is no exception. Last year, for example, he went to several of them in Utah. While they were entertaining and relatively scary for the most part, he felt the bar could be raised. Now, he’s taken it to a whole new level. Scott is the mastermind behind the Zombie Apocalypse Haunted House inside the XSI Factory in Lehi. It provides an amusement-park level haunted house experience of the whole family, inside a completely climatized 18,000 square foot venue. This is Scott’s first venture into the haunted house business, but he came into the “industry” with plenty of ideas. Scott said he saw a lot of the same “spooks and gags” at all of the haunted houses he visited. He wanted his to be truly different, to center on a theme; and zombies, as you should know, are definitely “in” right now. Built in partnership with Scenic Solutions, the Zombie Apocalypse cast is made up of 60 individuals (70 on weekends, when Scott adds “more zombies”) who spend nearly two hours each night getting into their costumes and makeup. Counting support staff, there are about 100 individuals working to put this together. “Fans will receive an experience unparalleled in Utah,” said show producer Mario Hipol. “This venue contains over $250,000 in props, designed by award-winning artists, and was built as a professional movie set.” It includes a zombie circus, zombie graveyard, zombie prison and zombie city. Oh, and did I mention a ton of zombies? Tonight (October 11), Scott’s zombies will be working together for a very good cause. For anyone who wears any pink when they visit the Zombie Apocalypse at XSI Factory, $1 will be donated to the Susan G. Komen Foundation to support breast cancer research and treatment. Scott is excited to support Breast Cancer Awareness Month in October by giving visitors a chance to support a great cause. 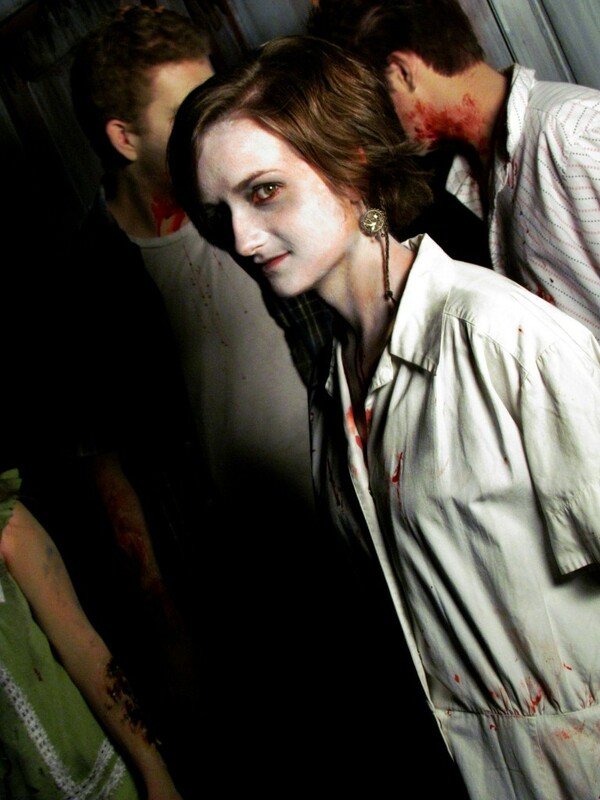 The Zombie Apocalypse Haunted House is open Monday through Thursday from 7 to 10 p.m., and Friday and Saturday from 7 p.m. to midnight, closed Sundays. It’s located at XSI Factory, 4425 North Thanksgiving Point Way in Lehi (right off of I-15). 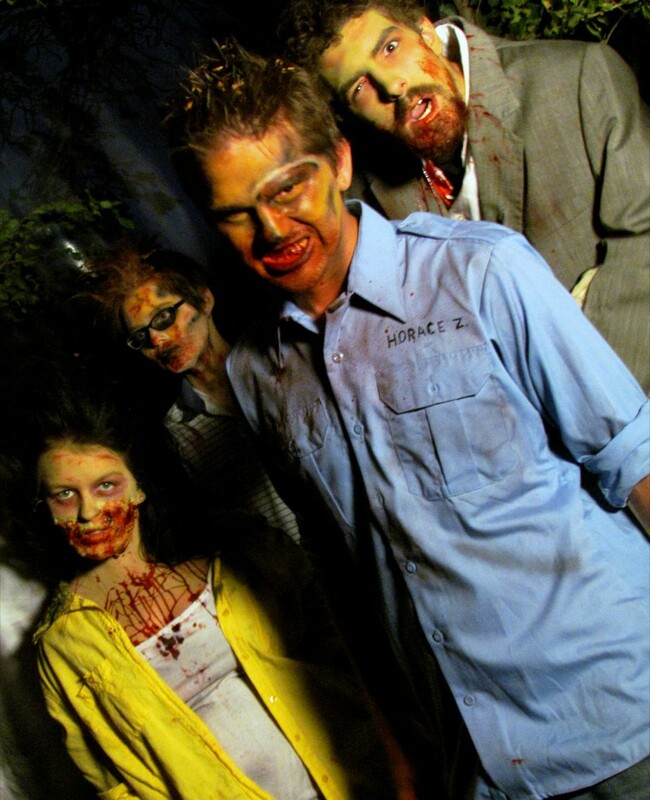 For ticket information, group discounts and more, visit the website at www.zombieutah.com. The Zombie Apocalypse also has a Facebook page.